I had the opportunity to speak with Tom Mornini one of visionaries delivering unique and valuable tools to clients via the “cloud”. Tom co-founded Engine Yard to provide the infrastructure and support necessary to fuel the development of Ruby on Rails applications. He has spent nearly 30 years as a software programmer and software architect and 20 years leading companies as a serial entrepreneur. Prior to co-founding Engine Yard in 2006, he created FaceBridge Research, Inc, a billing service for video-over-IM systems, and InfoMania Printing and Prepress, Inc, an innovator in Internet print procurement. He also served as software architect at Quios.com, responsible for designing the platform that allowed the mobile messaging company to grow into a global provider with more than 130 employees. Tom, how do you internally ensure that client data can be restored if you yourself are subject to a major threat to your datacenter? We back up customer data to Amazon S3. S3 is a distributed object store, which is designed to provide 99.99% (four nines) availability and 99.999999999% (11 nines!) durability. If that doesn’t satisfy a customer’s needs, our professional services team can work with them to duplicate those backups to their data storage facility of choice. Once we complete our customer migration to xCloud (running on Terremark, our IaaS partner), we will no longer have a datacenter presence of our own. When major players jump into the market with enormous resources both in development and marketing how does a small start-up protect a market share or niche today? Fred Brooks, in his seminal work “The Mythical Man-Month,” showed quite conclusively that large development teams rarely out-produce small teams. Speed and agility are built into Engine Yard’s DNA, and we’re working with Ruby on Rails, the highest velocity web development framework ever. We do not discount the threat of larger competitors, and we do recognize that large companies clearly have some advantages over smaller startups, however, it’s important to remember that those companies were small startups at some point in their history. This gives us confidence that if we maintain our focus on customer needs we can outmaneuver these larger players just as they once did with their competitors. 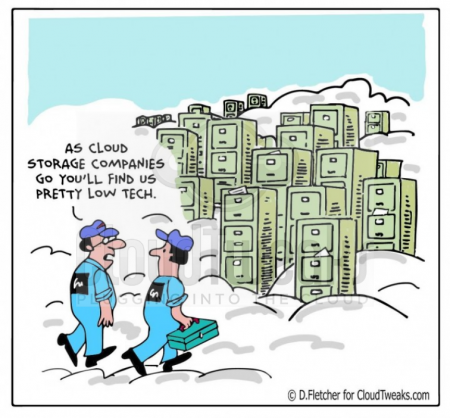 What is the new paradigm of cloud business models if any? Put your “futurist hat” on and describe how you see the “cloud” evolving over the next ten years? One promising segment that I see growing very quickly is service offerings with APIs for functional blocks of applications. Perhaps the clearest example of this is Google Maps, but additional examples from smaller companies are popping up all over the place. Engine Yard co-founder Lance Walley is CEO of Chargify, which handles the billing portion of nearly 2,500 applications, and has gotten to that number very, very quickly. GeoAPI, now part of Twitter, is a shining example of this trend. Even though location-based services are a relatively new segment of application development, there are already several players that make it unnecessary for companies to implement geo-location services themselves. APIs are the future, and many applications built over the next few years will have very few human users, if any at all. Nearly all of these types of businesses are being born in the cloud. Thinking has changed: it’s no longer forbidden to have large portions of your application code running outside of your control, somewhere out on the Internet. In this way, the cloud is changing the way people think, stripping them of the physical barriers that used to dominate their thinking. An application’s servers no longer have to all be connected to the same switch or exist behind a common firewall. Instead, application development is now taking on the shape of the Internet itself.